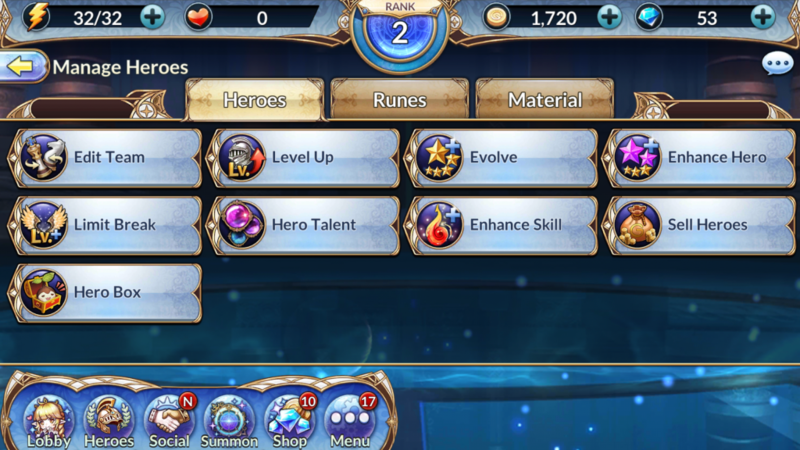 Welcome everyone, to the Knight’s Chronicle tips and tricks guide. 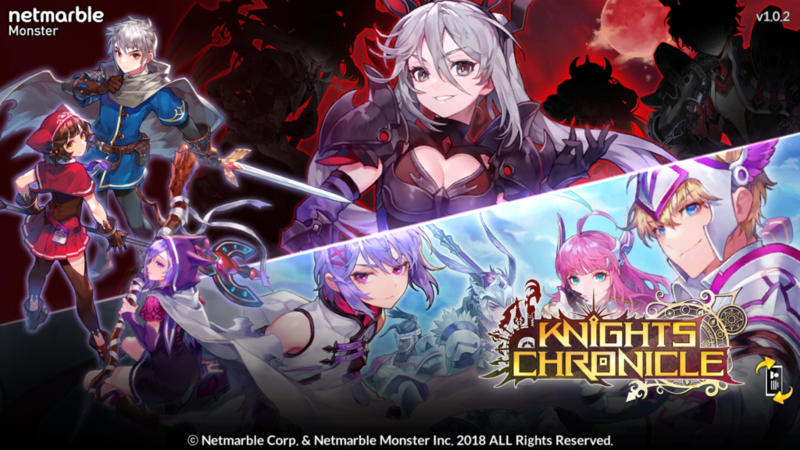 This guide is designed to help you understand the basics of Knight’s Chronicle and give some helpful gameplay tips to further your overall experience. Knight’s Chronicle is a turn-based RPG with a heavy emphasis on character collecting. You build a team of different characters and take them into battles to fight waves of monsters. The mechanics of the game are explained rather well in the game’s tutorial. 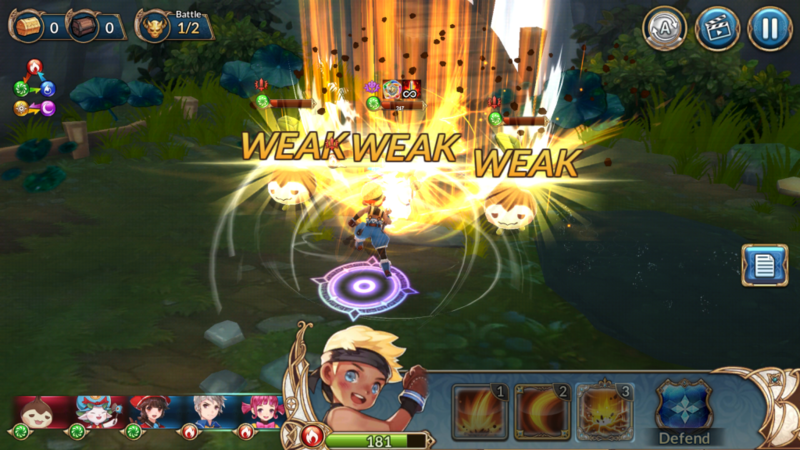 The main function is the turn-based mechanic that the game uses. 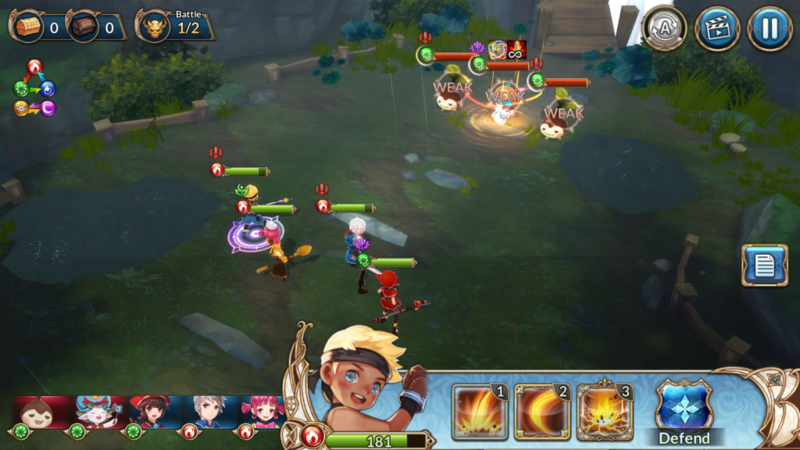 Each character has an attack turn where they can select one of their three attacks. Every character has attacks listed from 1-3. 1 is almost like a basic attack and the weakest and 3 is sort of an ultimate attack. But each character is very different in terms of what their attacks can do. Some characters do strict damage with their attacks and focus on bringing down enemies. While others may have attacks that focus on healing allies or applying debuffs to enemies. Like most turn-based RPG’s there is a lot of team comp you have to manage when you start getting a lot of characters. You wanna build a team full of characters that compliment and support each other, that way you can build a team that is strong and not easy to bring down. The combat also follows an element wheel in terms of advantage and disadvantage. Every hero has an element applied to them and it comes into effect against enemies. It’s simple rock, paper, scissors stuff and pretty easy to catch onto through playing the game. It’s explained very well in the tutorial of the game. 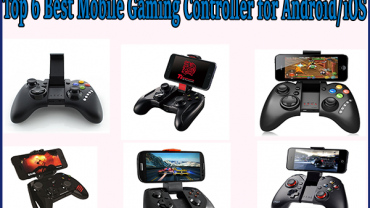 Overall, the basic mechanics of the game are pretty simple. Next, we’re gonna talk about the heroes themselves and the management they take. In Knight’s Chronicle, you’re going to spend a lot of your time collecting new characters. You do this by using character summons which is pretty much the same as every other character collecting mobile game out there. 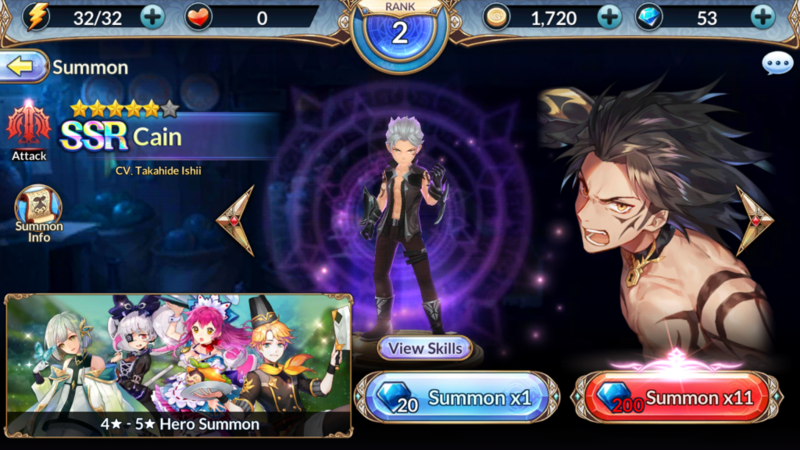 With the in-game currency, whether you buy it or get it through playing free, you can purchase character summons for a random hero pull. There are free draws you can do that let you summon for free so be sure to utilize those. Building your team of heroes is an easy feat at the beginning of the game. But as you progress you unlock all the different features that come with managing your heroes. Every hero can be leveled up whether through battle or through feeding a hero other characters. This is a good way to cut down on weak characters you may not want or have any other uses for. You can evolve and enhance heroes too. Evolving them raises their star rank and makes them far more powerful versions of themselves. Enhancement can be done on 6-star level 50 characters. And it offers a major power boost to those characters but unlocking a new substat or bonus boost to that character. Limit Breaks are also another form of enhancing your heroes power and effectiveness. But is also only unlocked with a 6-star level 50 hero. There are also Hero Talents that each hero can obtain upon reaching level 50. These are unique talents each hero has that essentially give them more utility in battles. And lastly, you can enhance a heroes skills by using duplicates of the same hero. This is how you make their attacks stronger and really empower them early on. Being a turn-based game, there isn’t a lot of complexity that comes into it during the early game. Just using any random attack to burn through enemies is kind of a valid early strategy. But once you reach later levels and things start getting more difficult it all comes back to team comp. Having a strong team is the key to beating any enemy regardless of their level or element. Having a party full of damage dealers may allow you to defeat enemies faster but you’re going to struggle against some of the later bosses. Regardless of your party build or play style, you want at least one hero that has a healing skill. The utility is important in turn-based games so those support heroes are worth their weight in gold. So build up your party with a good mixture of strong heroes for attacking and at least one who has an emphasis on some form of support. You also want to make sure you do any form of enhancement any chance you get. Especially skill enhancements, don’t hold onto any of those duplicate heroes. Throw them into another one and make them stronger. The more useful your current heroes are the easier it’ll be to get through the early stages of the game. As you progress you’ll start getting free gems from the game that’ll let you do more character summons. Gameplay pays off in this so having a good party is your key to progress.